Amazon.com description: Product Description: The aftershocks of the economic crisis that began in 2008 still rock the world, and have been followed by a crisis in democratic governance. The gravity of the situation is matched by a general paucity of understanding as to precisely what is happening and how it started. In this new edition of a highly acclaimed book, Wolfgang Streeck revisits his recent arguments in the light of Brexit and the continued crisis of the EU. These developments are only the latest events in the long neoliberal transformation of postwar capitalism that began in the 1970s, a process that turned states away from tax toward debt as a source of revenue, and from that point into the âconsolidation stateâ of today. 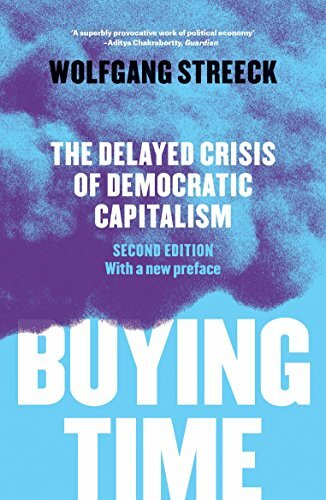 Central to this analysis is the changing relationship between capitalism and democracyâin Europe and elsewhereâand the advancing immunization of the former against the latter. About: The financial crisis keeps us on edge and creates a diffuse sense of helplessness. About: The aftershocks of the economic crisis that began in 2008 still rock the world, and have been followed by a crisis in democratic governance. About: The financial and economic crisis that began in 2008 still has the world on tenterhooks.